This is a really fun one! Stampin' Up! Sunburst Die with the Birthday Bouquet dsp. The stamps are Stampin' Up! Trust God and Pink Paislee Nantucket. 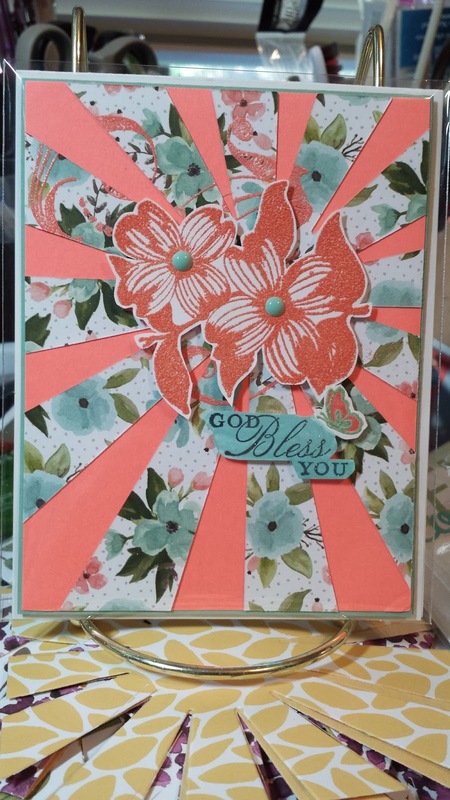 The flowers were stamped in Versa Mark and heat embossed using Tangerine Tango eb powder.